OMAHA, Neb. (KMTV) — Douglas County officials were out in Waterloo Friday looking at the conditions of a community right along the path of the floods. 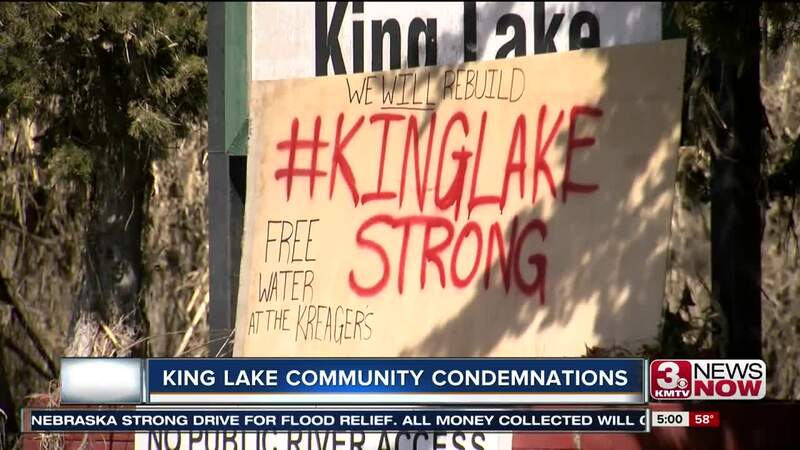 The King Lake community outside of Waterloo was hit hard by the recent flooding. Douglas County sherrifs, health inspectors and officials went door to door to see whether it's safe or not for residents to continue living here. "Well I understand and we empathize with them, nobody likes to lose their home," said Anna Bespoyasny from the CIty of Omaha. "Unfortunately it's up to us to make sure the structures they inhabit are safe to inhabit and in good conscience we can't let people live in conditions that are unsafe. Unfortunately in most cases out here today, that seems to be the case that the power needs to be shut down because of the water damage that has been done. If there's potential for electrical issues, shocks, fires, things of that nature due to the flooding there's unsanitary conditions with all of the mud and debris left behind and cleaning up. We're trying to do our part and make sure people have something safe to live in. "